“I and my friend had gone to the mosque to offer Friday namaz. After we came out of the mosque we noticed some people following us. Just as we were leaving on my motorbike, a group of about 15-20 people started to beat us,” said Aftab, one of the victims. 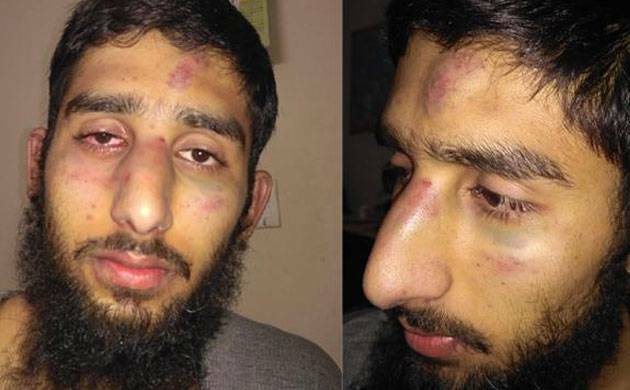 At least two Kashmiri students of the Haryana Central University of Haryana in Mahenderhgarh were assaulted by unknown assailants on Friday while returning to the campus after offering Friday prayers in Mahendragarh town. Aftab said no one came forward to help them. “Soon after police arrived at the spot. We went to the hospital for a check-up and returned to the university campus. We told faculty about the incident and lodged a complaint with the University,” said Aftab. Jammu and Kashmir Chief Minister Mehbooba Mufti has reacted aggressively to the incident. She has demanded that Haryana government take strict action against the perpetrators of the assault on Kashmiri students and also demanded a probe. Former Jammu and Kashmir chief minister Omar Abdullah also took to Twitter and tagged Prime Minister Narendra Modi in a tweet and said that the incident goes against the spirit of his outreach for Kashmiris. The reason behind the attack is yet not known. Jammu and Kashmir Director General of Police SP Vaid is coordinating with his Haryana counterpart to ensure the safety of the Kashmiri youths. "In touch with DGP Haryana. Police is taking cognisance of the incident," he said. Jammu and Kashmir Police have issued a statement: With regard to the physical assault on some students of J&K in Haryana's Mahenderhgarh, Haryana Police has taken cognizance. FIR u/s 148/149/341/323 IPC has been lodged in Mahenderhgarh police station. 0ne of our officers is in touch with the boys as well. Meanwhile, Garima Mittal, Mahendragarh District Commissioner has informed that three accused have been arrested and few identified.